Had an amazing week in the apartment in October 2018. 2 adults and 2 teenage children. Taxi from Alicante airport is hassle-free and no more than 20 mins. We had everything we could need in the apartment which was really nicely decorated and presented, the local contact was extremely helpful. Location of the apartment is incredible, gorgeous views and the beach is just a stone's throw away. There is a Lidl only 5 mins walk away and a larger Consuma just a few mins further. In terms of restaurants there is a huge range of choice all the way along the promenade, a lovely mix of bars and restaurants should you want to sit out and have a drink or have a meal. We will definitely return here at some point - I have no doubt of this, absolutely great. 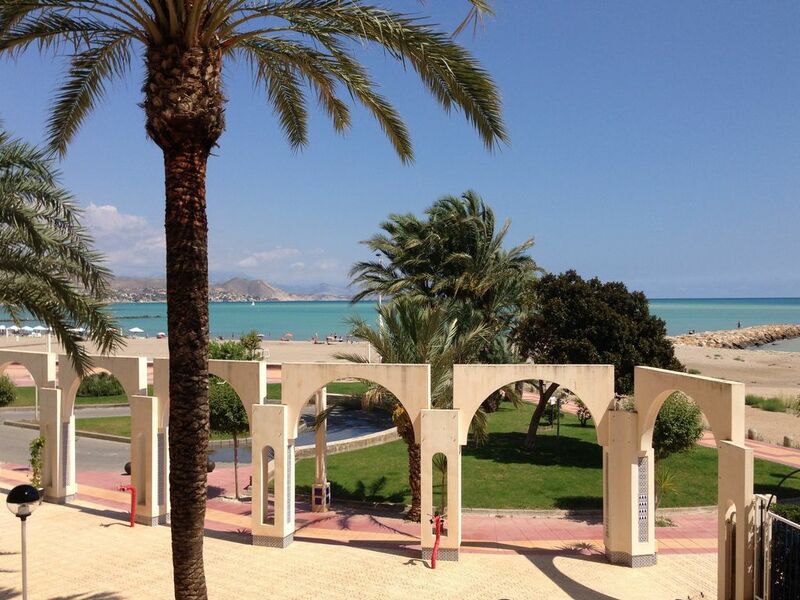 Thankyou very much for your nice comments, we are really happy that you enjoyed El Campello and our apartment! We look forward to having you back, be well and I wish you a very Merry Xmas and an excellent 2019! Alt fungerede på bedste vis, der var alt i køkkengrej service som vi havde brug for, møblering meget tiltalende og stor anvendelig terrasse, rengøring i top. Vi vender meget gerne til tilbage på samme tid næste år. Tack för dina positiva komentarer, vi är mycket glada att ni hade det bra och ni är välkomna nästa år. Exceptionally clean, perfect location and a fantastic place to stay. Very comfortable beds, kitchen with everything you will need to have a relaxed holiday. Location at the end of the boulevard away from noise but close to supermarket, restaurants and everyth8ng you need. Beach chairs, patio chairs, cool bags this apartment has it all. Super easy to get a taxi from the airport. We loved it and would definitely come back. Monica was great with communication and anja met us with the keys. Thankyou very much for your nice review, I am really glad you enjoyed your stay in spite of the weather, it was a strange week! I am glad you want to come back, I will make sure you receive my restaurant list!! Fab property in a great location. Two couples went for 3 weeks, everything we needed. Had problems with WiFi but owners got it sorted as soon as they could, came to apartment with the engineers. Pool area really good, cafe in apartments good for drinks while at pool. Great views and right on beach. Thankyou Ken and Lynne for your kind review. For information tomorrow the apartment will be equipped with A/C in the two other bedrooms and the WiFi works great! Thankyou for your patience and hope to have you back here! This was the perfect apartment for us as we were visiting family in the area but also allowed us to feel ‘on holiday’ as it was so close to the sea with lovely views and a huge balcony. The apartment was beautifully furnished and spotlessly clean with everything one could need for a beach holiday, including beach chairs, sun parasol and towels. There was also a bottle of wine and nibbles waiting for us which was a lovely touch, and the kitchen was stocked with basics if you should need them which saves buying huge amounts at the nearby supermarkets. (There was even a shopping trolley to take to the supermarket five minutes walk away. Key exchange and access was easy and trouble free and Anja was very helpful. We will certainly be back as we have found our perfect base for our visits to family nearby.